PhotoOnWeb is a software to create your own photo album with digital pictures and host it on the internet. No more time wasted on sending your pics by email one by one to share them with friends and family, with PhotoOnWeb you have your own website and you just have to send the link! The software offers quick and easy creation and customization of the album. Creating an album with the software only takes a couple of clicks, simply add the pictures and click on publish! PhotoOnWeb automatically resizes the photos, creates the gallery and transfers it. You can either use your own ISP web space to post your pictures or take advantage of the free 100 Mb hosting space provided by VSO PhotoOnWeb servers. The software provides a choice of more than 15 templates for free and those who feel comfortable with HTML editing can also design their own background. Other features include: rotating pictures, converting to sepia or black and white, adding a comment for each shot or customizing the layout of the digital photo album, etc. PhotoOnWeb supports various image formats (even professional ones like Raw) so you'll have no trouble creating your album no matter what kind of camera you use. Click on the URL of the album and enjoy the results: an elegant, customized gallery with smooth navigation and photos already resized to fit the full screen. Emailing the link allows sharing the online album without sending attachments or the viewer having to register to a community. 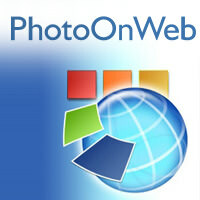 For anyone who wishes to post images on the web, PhotoOnWeb is a great, easy and effective solution. If you need more information please contact the developers of PhotoOnWeb (VSO-Software), or check out their product website.